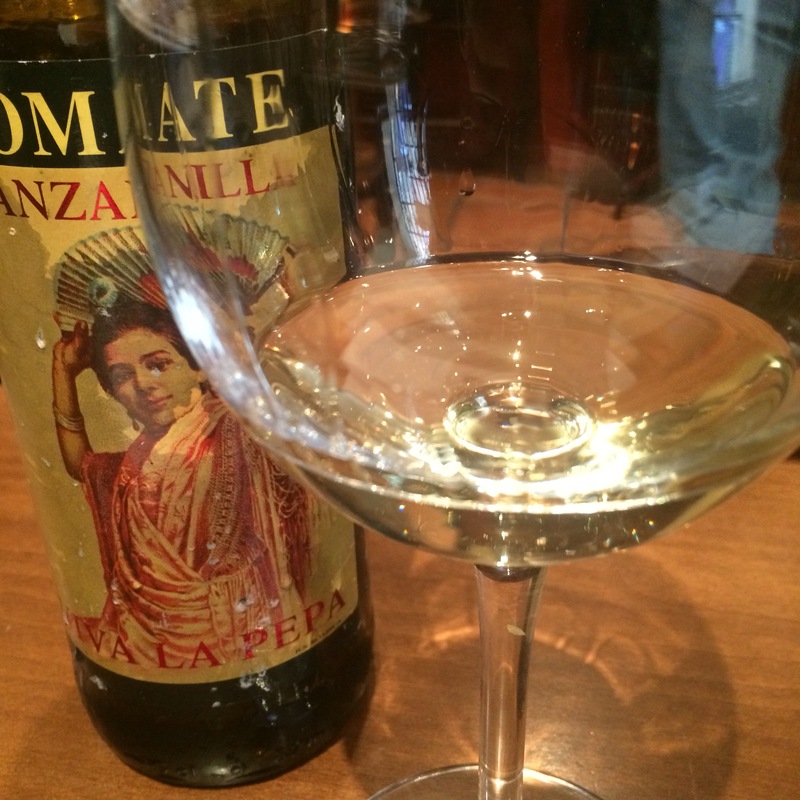 The “other” wine from yesterday’s visit to Taberna Palo Cortado was this very pleasant manzanilla from Sanchez Romate. I am a fan of the Fino Perdido and have been looking out for this – a stripling by comparison with only just over three years under flor – for a while. As I think you can appreciate from the photo it is very pale in colour and very clear – has that crystaline quality that I have come to associate with finos and manzanillas. The nose is also delicate – a discreet aroma of herbs and meadow flowers, with sea air in the background. On the palate it is fresh, although the sensation gets a little saltier over time, and again the flavours are delicate – nothing big or overpowering about this. Very pleasant and a great little aperitif.